The system must be re-started to setup the UC Booster Server or Card in the OpenScape Business system. 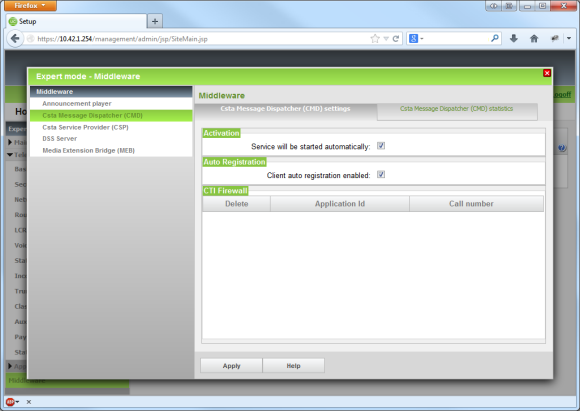 Log into the OpenScape Business web interface as the administrator. Start the Initial Installation wizard from the menu under Setup. The Booster Server or Booster Card will be selected and configured from the Application Selection page. - Click on the Package with UC Suite option. - Click on the Package with UC Suite on OSBiz UC Booster Server option. - Enter the IP address for the Booster Servers. You can confirm the settings on this page and the following pages by clicking OK&Next. The telephone system will be re-started. Once the system has been re-started, log into the OpenScape Business system as Administrator. If the user does not yet have the Expert role, add this role to the Administrator account. Open the Applications - Middleware menu item from the menu in Expert mode. - Select the "Service will be started automatically" option. - Select the "Client auto registration enabled" option. 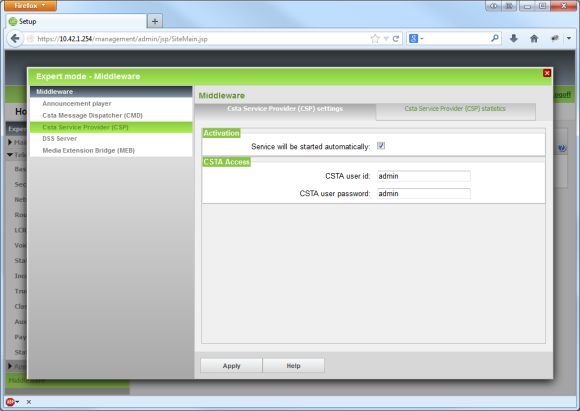 Assign a CSTA User Id and a CSTA User Password. 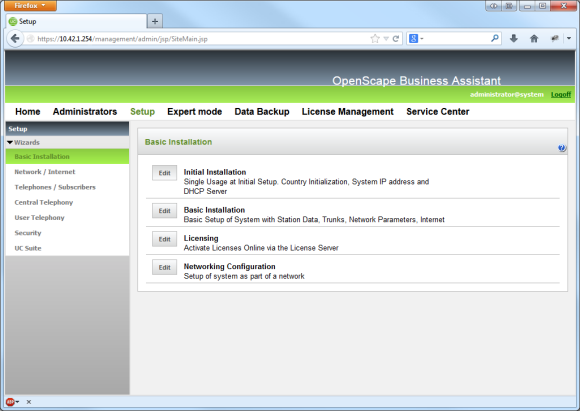 You will need both of these pieces of information afterwards for activating the ECSTA for OpenScape Business system. Confirm the changes by clicking Apply. The system will now have access to the Booster Card or the Booster Server through a CSTA interface, to which ECSTA for OpenScape Business will have access.